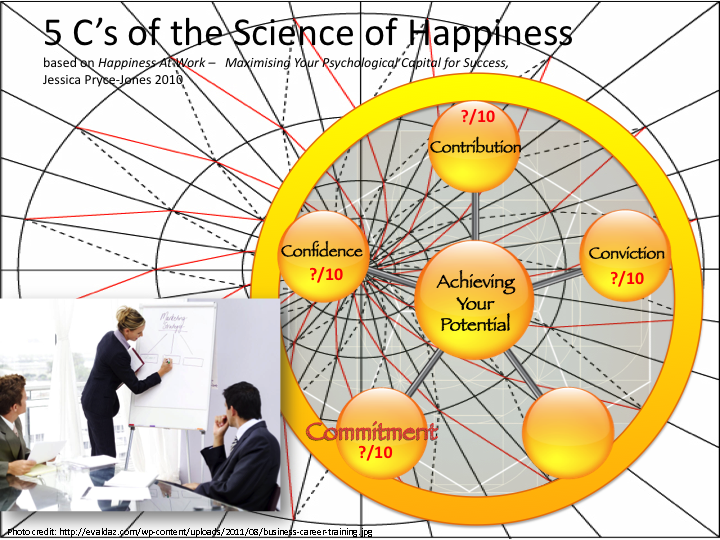 Science of Happiness At Work expert Jessica Pryce-Jones discovered through her research in dozens of different organisations that what lies at the heart of happiness at work is achieving our potential. If we feel we are doing this, we will probably feel that we have high levels of trust in the work we are doing, and pride in and recognition for what we are achieving. This week, as we celebrate our 100th edition of the Happiness At Work collection, I want to headline stories from this week that shine a light on different ways we can all reach out and into our best and fullest potential. 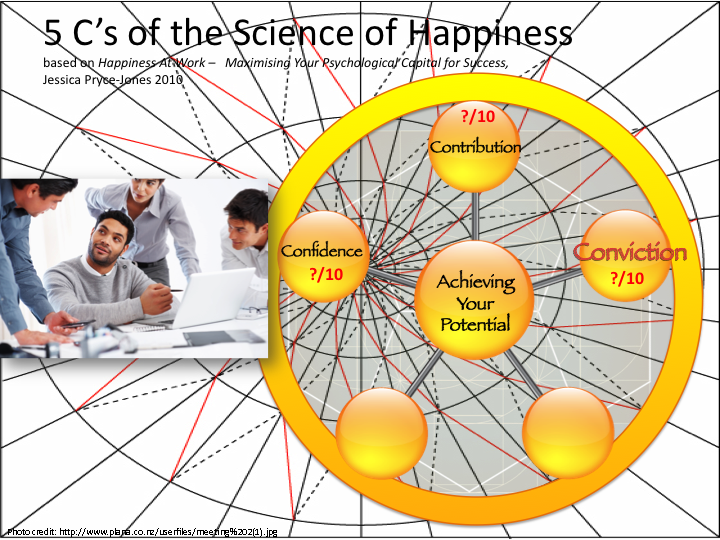 We use Jessica Pryce-Jones’ 5 Cs model in our happiness at work training because it has been rigorously researched in organisations and because it provides a practical framework to grow and sustain increased levels of happiness at work, both as an individual and collectively as an organisation or team. The first key to happiness at work is your approach and being aware of it. Being mindful allows you to have a perspective on a situation, which means you’ll manage it better. Secondly, our definition of happiness focuses not only on the individual but also on their role within the group because that’s where most work takes place. Thirdly, it’s important to recognise the “yin and yang” effect. Growth of any sort involves accepting that discomfort and difficulty are part of the process. Happiness at work doesn’t mean that you have to feel good 100% of the time. Or that you shouldn’t feel the usual negative emotions you do at work. Like anger, frustration, disappointment, failure, jealousy or shock. Just like the times when you feel so stretched that you aren’t sure how you will cope. Those are the moments that help you achieve your potential. The times that you look back at with a sense of accomplishment and achievement. 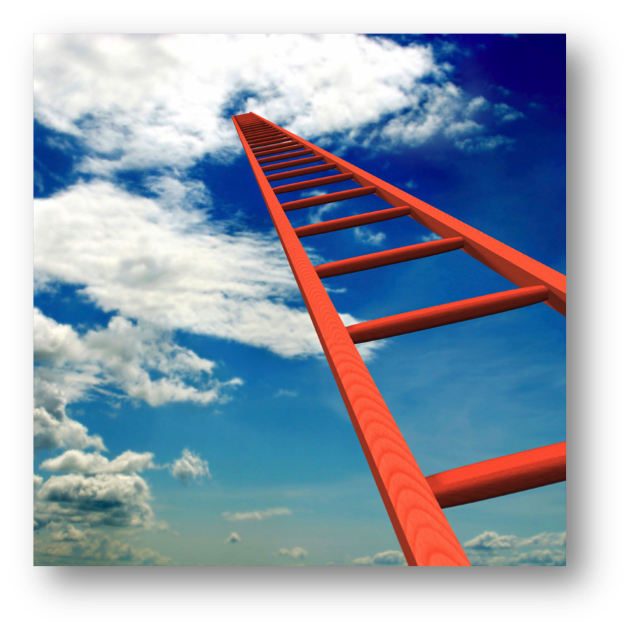 Moving from struggle to success to the next struggle to the next success in a repeated upward spiral is how you grow, develop and achieve more. It is what peak performance is made of. And it is how you become happy at work. Feeling energised – pay attention to what energises you because it is a good internal marker of your happiness. (Doing long hours may mean you don’t have enough recovery time. And it looks like a 48hour week is the maximum you can work before productivity starts to rapidly fall off. Using your strengths and skills – work to your strengths but don’t lose sight of weakness – successful people are aware of both, and spend time boosting and refining their skills too. We now know with certainty that when we use our signature strengths we not only find things easiest and ‘natural’, we also do our finest work, and we feel energised and nourished doing it. Remember the fastest way to develop your potential is to learn. Overcoming challenges – like most people, even when you enjoy overcoming a challenge, you won’t like having to face especially hard difficulties, and it is normal to experience less happiness when you start tackling a difficult project and more as you work your way through it. And part of our humanness is to feel greater pride for achieving things that have been difficult for us, more than the things we might do more brilliantly but, for us, are no big deal because they lie within our natural or existing strengths and capabilities. But what if you don’t feel you are achieving your potential? 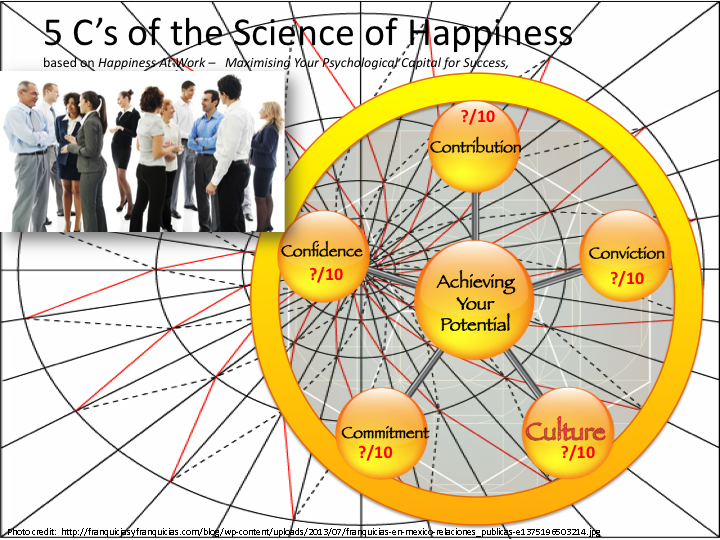 Well here is where the 5 C’s come in – and each of these are areas that we can learn how to develop and grow stronger. Most of us take Confidence for granted when it feels strong and only notice it when don’t feel like we have it. Even though this scored the least important element after the other C’s, Confidence is the one on which all the others depend – you can’t have high levels of Contribution, Conviction or Commitment without it. 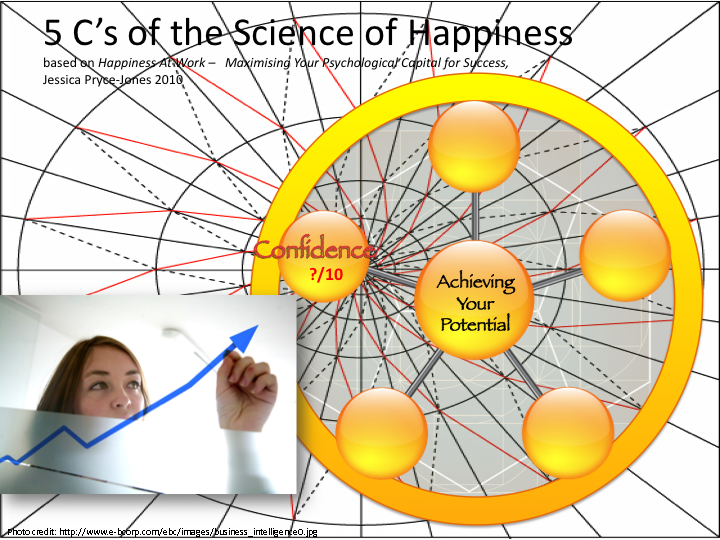 If you’re one of those people who have the highest level of happiness at work you will have 40% more confidence than other people. And when you have high confidence you’ll also have 25% more self-belief; and 180% more energy and get 35% more done. And you will feel like you understand your role backwards & forwards. The Inside-Out aspects are what you bring to your work. There is a huge body of research, which shows that if this bit of your working life is right, a lot of the rest will fall into place. 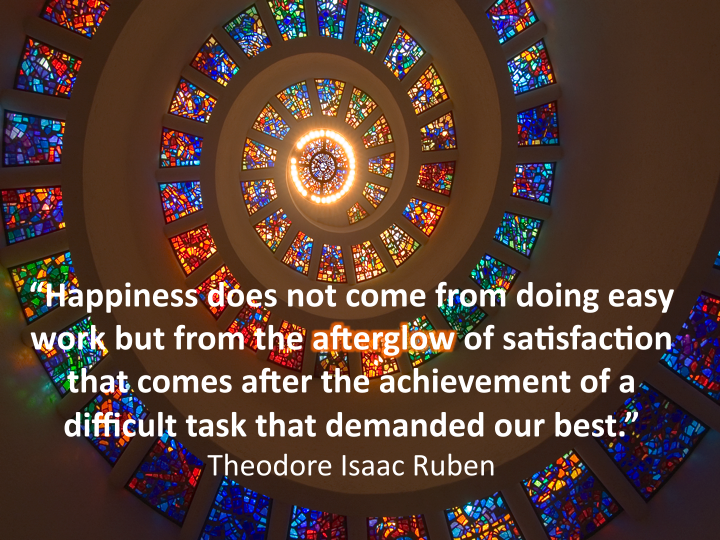 And, as we have already noticed, iti’s only difficult goals that increase our happiness over time. Easy ones just don’t make you feel good. Feeling that you are Listened To is the most important element in the Outside-In group. It is fundamental to your happiness at work and productivity. 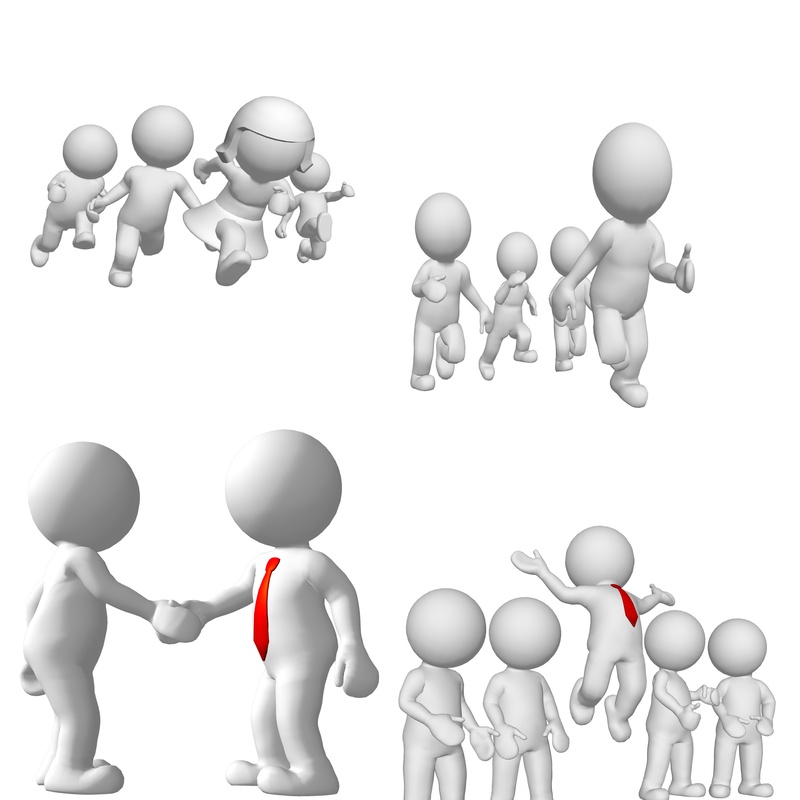 Feeling Respected By Your Boss and Getting Positive Feedback really build Contribution. We need at least 3x and ideally 5x as many positive comments to equal the effect of one negative criticism, and we do our very best work when we are feeling positive. Conviction is the engine that means you deliver come what may. 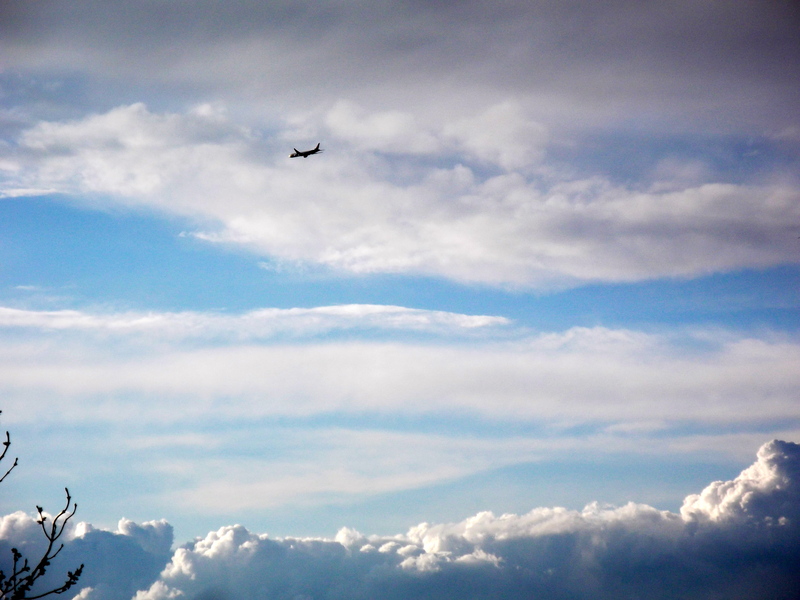 It’s what keeps your Contribution on course when things are going well and means you won’t stall when they are not. 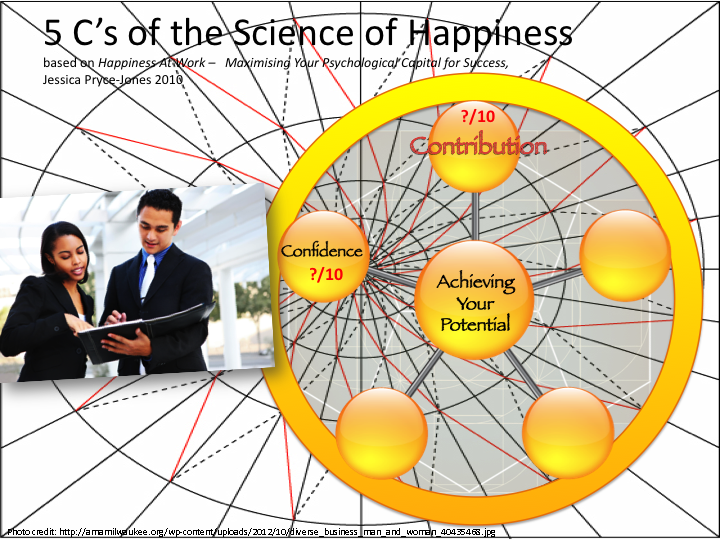 Conviction is the second most important element for happiness at work after Contribution. Motivation comes from the Latin word meaning “to move”. We need a compelling reason to get moving and this can be either TOWARD something we desire and want to get closer to having, or AWAY FROM something we don’t want or wish to avoid happening. Being motivated involves purpose, direction, and effort. And it’s enhanced when you feel you have choice, when you feel competent and when you feel strongly and positively connected with the people around you. With high Conviction you also feel Resilient – ready to deal with the challenges you might face. And you feel that Your Work Makes A Positive Impact on the world. Commitment is a dynamic balance between what we believe and what we feel – our head and heart if you like. One of the elements of having a high Commitment is believing in the Vision of your organisation And – above that – believing that what you are doing is worthwhile – that it adds up to something that extends beyond your own self-interest. Your commitment will be stronger for work that connects to what you are interested in and like doing. And all of this is boosted by strong bursts of positive emotion – enjoying what you are doing. This is the environment in which you work. Culture when looked at through a happiness lens means working in a place where your preferences for how you like to work are matched. In a large organisation you may have less control over Culture than you do over your Confidence, your Contribution, your Conviction and your Commitment. But it will have a big effect on you. When it is right you almost don’t notice it. But when it’s wrong it’s really wrong because you will feel you just don’t fit. And this can easily lead to you doubting yourself rather than the place you’re working in. and Feeling in control of your daily activities. The more autonomy or choice (real or perceived) that you feel you have in your job, the more you can deal with its daily pressures. People who are most happy at work experience a 33% greater sense of control than their least happy peers. Do you trust your people you work with? And do you feel you get enough recognition for what you do? Pride and Trust work like a pair of facing mirrors. While one mirror shows your front, the other shows your back, together they reveal multiple aspects of the same thing: your happiness at work. Recognition is related but different. Pride and Trust are what you give to your organisation and Recognition is what you get back from it. Recognition is when others inside or outside your organisation acknowledge what you do and the way you do it. It is your payback and it means much more than money. We know this because there is a strong negative correlation between Recognition and pay, which means that the more you want Recognition, the less you will be happy with money in its place. You need all three in place if you’re going to feel really happy at work. Pride and Trust without Recognition will make you ask: “Why do I bother when no-one notices what I’m doing?” And lots of Recognition without Pride and Trust will just feel fraudulent – unearned and undeserved. 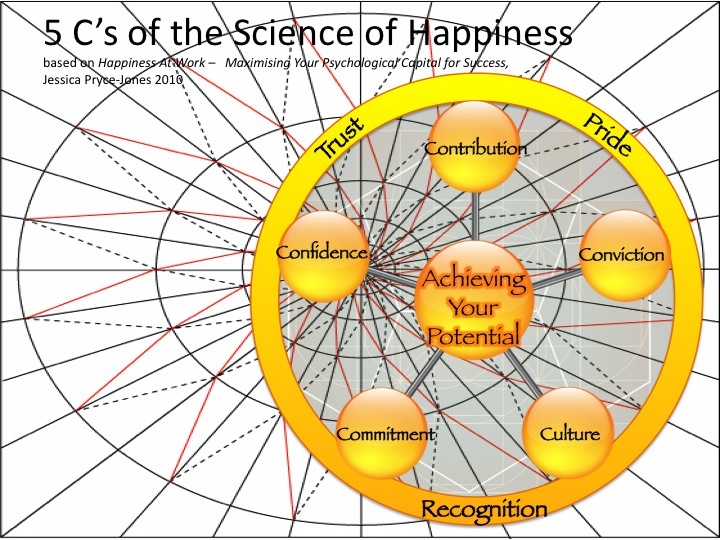 The outer wheel aspects of Pride, Trust and Recognition help you to understand more specifically what our happiness at work is bringing you, They are the golden wheel that is turned by the spokes of the 5 Cs, and you need all of these to be strong to keep your Pride, Trust and Recognition strong and unbroken. 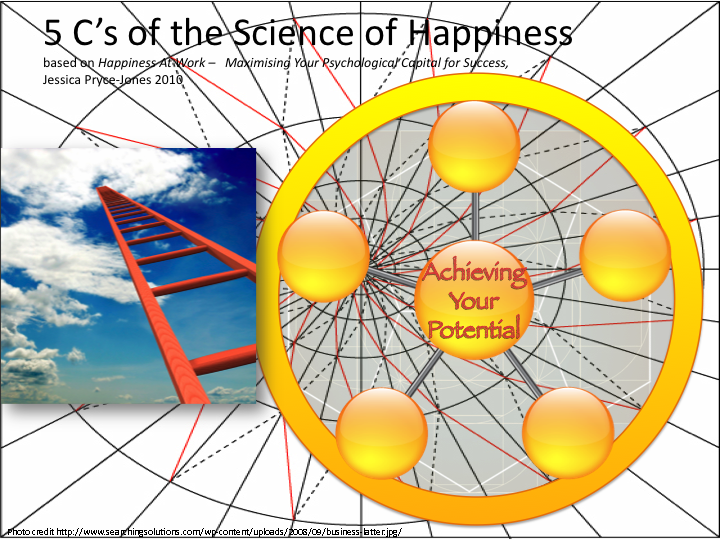 And at the heart of everything is your central hub of Achieving your Potential that is directly affected by the strengths and balance of all of the others. The good news is you have much more room for manoeuvre than you may think. And there are always choices. If you continue to put up with what you’ve always had, that’s what you’ll always get. And if we all do that, nothing will change. We need to make a fundamental shift to work that brings together some of the key recent findings in organisational research, neurology, psychology, behavioural economics, psycholinguistics, and anthropology. To create new models, new practices, and a new approach…regardless of sector, nationality, product, service, role or status. The only way to do this is to galvanise around something that is practical, that’s compelling for individuals as well as organisations, and that produces real results, results of real and lasting value. Hemingway always stopped writing when he had more to say. It was better than writing ’til he ran dry, which meant picking it up the next day with nothing ready to write. This is you at work. There’s always a to-do list ready to go the next day. There are always going to be little mundane tasks that have to get finished—even if we don’t want to be the one to finish them. It’s easy to lose yourself in the nuts and bolts of a project without envisioning it’s completion. It’s even easier to get hung up on how difficult and time consuming the little projects can be. But when you love the work you do, you always find a way to see the forest through the trees and remind yourself of what you are working toward. When we care about the work we do and something doesn’t live up to our standards, it can be really disappointing. If this frustration comes from wanting something to be better than it is and (here’s the kicker) taking extra time and effort to bring it up to those standards, then you are actually doing work that matters to you. Even if the struggle feels like a huge pain, working toward the end result you want will give you an even greater sense of reward once you get it there. You seriously can’t help talking about the thing you’re working on, even if it frustrates you. You try to talk out the issue with your loved ones, thinking maybe another perspective can help you “hallelujah” your way to a solution. Complaining about your job does not fall into this category. There will always be days or even weeks at a time when things just feel like they’re working against you, but you keep talking about your work through every kind of phase. Work does not end when you walk out the door at the end of the day. Have you ever done this? You’ve gone through a couple of tasks, maybe answered a few quick emails, or tidied up some things left from the previous day and are ready to dig into the bigger work when you look at the time and it’s 11:47 a.m.? Where the heck did the morning go? If it’s easy for you to get into flow, meaning you’re working on something that is not too easy but not so challenging you can’t do it, you’re doing work that is juuuust right for you. The things they seem to accomplish can sometime blow you away. You admire their tenacity in their work and you want to support them any way you can so that they can keep being awesome. You love what you are all working toward collectively as a team. Typically, when we are feeling good, we see the good in others. So by admiring the work of others, it’s coming from a place of admiring your own work as well. You are not strict about mentally checking out of work when you don’t have to be there. You like your work, so you also like thinking about it outside of office hours. You find yourself solving problems, brainstorming ideas, and thinking in terms of how something in your life relates to something in your work. Like Newton and the apple, sometimes your greatest ideas come to you when you are far from the office. For people who don’t like their jobs, every day of the week has a certain quality. Monday is for the blues, Wednesday is halfway there, and Friday is the sweetest day of the week because it means they are one lazy work day away from the weekend. Many Saturdays are occupied by a hangover, and Sunday, well, even though it’s a day off, it can feel like one of the most dreadful because another work week is around the corner. But when you like the work, Sunday is a great day! Just like most of the other days. It’s always so nice to have time to take care of our homes, spend quality time with family and friends, or just go out and explore. But when Sunday does finally come around, it’s almost exciting to get back to work after a refreshing weekend. …For me the ability of a trainer or facilitator or manager to inspire people to move out of their comfort zones and make change is extremely powerful. Effective learning, ideally, will put the delegate or learner at the centre of the event, rather than the event to provide a platform for the trainer or facilitator or manager to spout on about their own personal achievements. So, if a programme is being led properly, the trainer or manager themselves cannot be the centre of attention, no matter how wonderful their own experiences. Learners must be the centre of that particular universe. The trainer or manager with the edge truly believes that everyone holds their own key, which can unlock the potential within. A fabulous trainer or manager believes in her or his delegates’ abilities and potential to shine. For me it is the belief, held by the trainer or manager, that the people sitting before them can be amazing, that provides the difference between the trainer or manager who can do a good job and one that can inspire change. The exceptional trainer or manager not only believes the people before them are amazing; they help them to realise the fact too. The trainer or manager’s faith alone in people’s abilities to shine is not quite enough. Each person must believe in their own potential, otherwise the magic doesn’t happen. Those trainers and teachers and managers that can wield magic and open doors, will inspire hope, ignite imagination, and build confidence in people to be the best they can be. Continuing the theme of helping others to achieve their potential, here is a great set of roles that highlight the different things we need to be and bring to help different people at different times to progress and advance in their learning, confidence and work. Used together they provide a sufficiently complex and rich array of responses to help us to achieve our real change and transformation. Key Question: What’s most IMPORTANT? Important Duties: Makes company vision relevant; identifies key priorities. Key Question: How do WE make a difference? Important Duties: Rallies the team around a concrete picture of success; Shows the team that they are vital and able to accomplish something magnificent. Key Question: How can we best work TOGETHER? 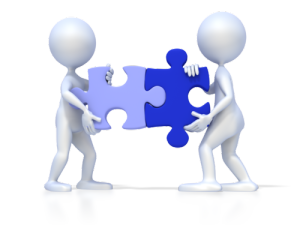 Important Duties: Knows each team members strengths and motivations; Draws on strengths to create synergy. Key Question: How do we IMPROVE? Important Duties: Stretches individuals and the team; Expands individual and collective capacity. Key Question: How can I HELP? Important Duties: Offers support and removes roadblocks; Digs in and supports the team. Key Question: How do we accomplish MORE? Key Question: How do we SHARE our success? Important Duties: Advocates for the team; Showcases team and individual accomplishments. What can business learn from the world of sport? Some of the key theories and practices used in executive coaching will be detailed by Olympic gold medallist Adrian Moorhouse MBE at the Alec Rodger Memorial Lecture on Tuesday 24 June at Birkbeck, during Business Week. In his keynote address, Moorhouse, managing director of Lane4, which helps organisations build competitive advantage through individual and team development, will explain what he believes business can learn from sport and how concepts within sport psychology and organisational psychology more broadly can help to create high performance business environments. Moorhouse points out that, like the best sporting coaches, successful leaders engage with their teams, particularly when times are hard, they confide in them and share the problem at hand. They frame the long-term mission not just the short-term financials. Interestingly, Organisational Citizenship Behaviour (OCB) research, also referred to as contextual performance, maps the extent to which altruism, civic virtue, sportsmanship, courtesy and conscientiousness are manifested at work and why investing more time cultivating OCBs makes commercial sense, even in today’s fast-paced organisational cultures. And one important predictor of OCB is leadership – if there is a good relationship between the leaders and the employees, more examples of helping behaviours will be found, as well as higher performance levels (Motowidlo, 2011). And it is perhaps here that an executive coach can really make a difference. Most research shows that we don’t get enough sleep, and our deficit is seriously hurting our productivity, our physical health, even our mental wellbeing. There are a lot of factors working against us, but many of these are easy to address. You don’t have to follow any of these perfectly—I certainly don’t, at least not all the time—but here are six strategies for getting more and better sleep starting tonight. 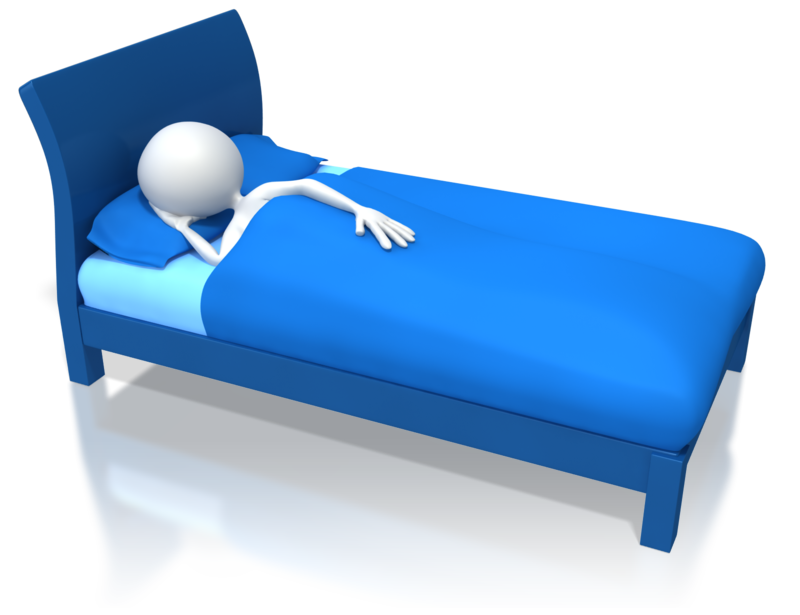 Researchers call it “bedtime procrastination,” and it’s really about willpower. If we want the benefit of extra sleep, we have to decide on the tradeoff: one less link, one less episode, one less page. Determine to go to bed at a set time and then do it. The key is to follow the same pattern most nights, even on weekends. For high achievers like us, this is really important. Let’s agree to let the report wait for morning — the design comps, too, and the email. Unless we’re already totally exhausted, all of these things just keep our minds active long after we close our eyes. Our bosses don’t own our sleep. And if you — like me — are your own boss, then let’s give ourselves a break! If you can’t let something go, just write it down, hit the hay, and deal with it in the morning. All of these article and many more and included this week’s Happiness At Work edition #100. I hope you find much here to enjoy, use and add to your existing repertoire of approaches for being successful, happy, creative and resilient in your work and life. 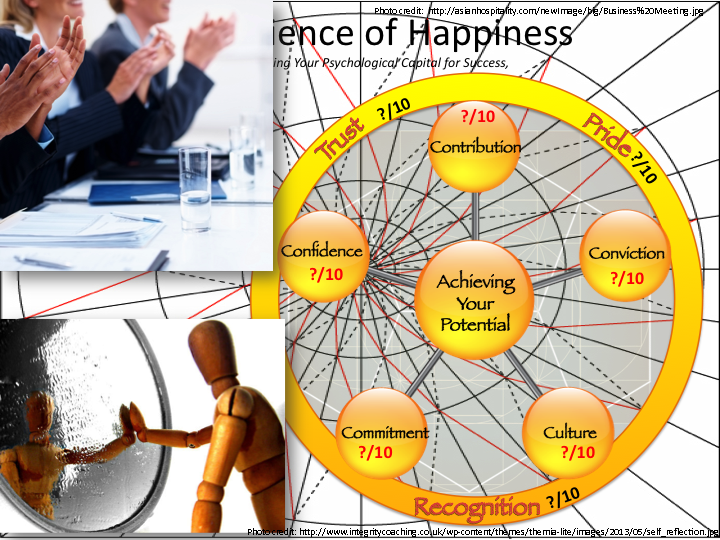 This entry was posted in 21st century leadership, 21st century work, Changing the World, Creative Learning, Happiness & Wellbeing At Work, Leadership, Mindfulness, Positive Psychology, Teaching & Learning and tagged collaboration, communication, confidence, creative learning, Happiness At Work, happiness experts, personal development, professional development, Wellbeing, women leaders, work-life balance. Bookmark the permalink.